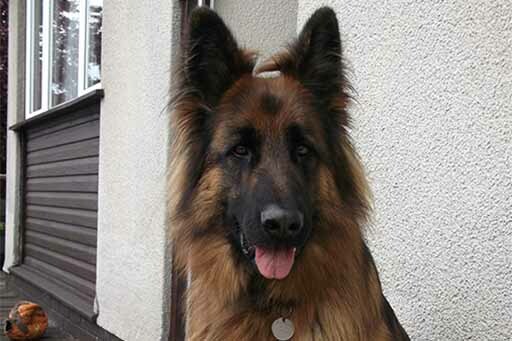 5 year old German Shepherd ‘Jay’ wins Pet of the Month! Jay was brought in as an emergency, he had collapsed at home with a distended abdomen following non-productive vomiting. Kris, one of our vets (seen left performing a keyhole surgery) examined him and having spoken with Mr Krautman was immediately concerned about the possibility of a gastric dilation and volvulus (GDV). Emergency treatment was started including fluid therapy to stabilise Jay. Pain relief was given whilst diagnostic tests and monitoring were carried out. X-rays showed that Jay’s stomach was filled with gas and a twist was present, confirming their concerns of a GDV, a life threatening condition requiring emergency surgery. IV fluids were continued and Jay was anaesthetised and prepared for surgery. The operation involved untwisting the stomach and removing the stomach contents via a tube. 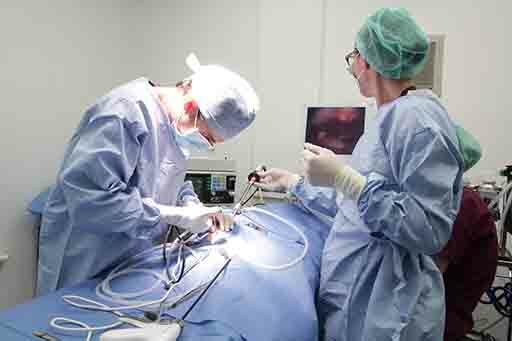 The stomach was flushed and examined prior to performing a gastropexy procedure which reduces the chance of recurrence of the condition. Very close monitoring was required while Jay recovered from his anaesthetic and surgery, but Jay recovered well and was allowed home after 24 hours. GDV is a condition more likely to occur in larger deep chested dogs. As this condition requires quick emergency treatment, owner awareness is important. We can offer owners of high risk dogs, the opportunity to have a preventative procedure carried out. This can be achieved by keyhole surgery and be performed at the same time as keyhole spaying if that is being carried out. Please contact us if you have any queries or would like more information.